I know the life insurance I want and I want to buy it now. Eligible individuals can submit an application online and be instantly approved and covered. To apply for the product and coverage amount you selected on the Quote page, click the Buy Now button. To review product details, return to the Quote page. Your health history and list of medications. An Insurance Advisor provides invaluable advice and can help find the right life insurance for you. To connect with an insurance advisor who can help you purchase the life insurance that is right for you click "Connect with Advisor"
While all life insurance plans are designed to pay an amount of money when someone dies (called a “death benefit”), there are two basic types of life insurance: term life insurance and permanent life insurance. Term life insurance is designed to provide affordable life insurance protection for a specific period of time, or “term” as the name indicates. The term may be a fixed number of years (eg. 10 or 20 years) or to a set age (eg. age 75). If you die during the term, your beneficiaries will receive a death benefit. If you don’t die during the term, no one gets the death benefit and the insurance ends. However, some term life insurance policies can renew at the end of each term for a further term, which lets you keep your insurance for a longer period of time if you need it. Premiums, or the price you pay for your insurance, typically stay the same during the initial term, but increase each time the policy renews for another term, and the renewal premiums may or may not be guaranteed. Permanent life insurance is designed to provide insurance protection for your entire life, no matter how long that is. This means you can keep your life insurance coverage as long as you live, provided you pay your premiums when they are due. And if you die while your insurance is in effect, a death benefit is paid to your beneficiaries. Permanent insurance typically accumulates a cash value over time, and under certain circumstances, you can borrow money from the insurance company, which is secured against the value of your policy. If you choose to cancel your insurance, you receive the cash value of your policy at the time of cancellation, minus any amount you owe to the insurance company. Premiums for permanent insurance are often guaranteed not to increase as long as your insurance is in effect. It is important to note that both term life insurance and permanent life insurance may have additional features or variations that can allow you to tailor your life insurance based on your needs, and the specific terms of your life insurance are set out in your insurance contract. Each type of life insurance has benefits, but the reality is most Canadians will have the need for both (for example, many consumers have permanent life insurance coverage to pay for funeral expenses when they die, as well as term life insurance coverage for shorter term needs such as paying off their mortgage and other debts if they die before those debts have been paid in full). It is important to get the information and advice you need before purchasing life insurance. An insurance advisor can provide invaluable advice and can help you find the right life insurance product to meet your needs. The information in this document is for general information purposes only. 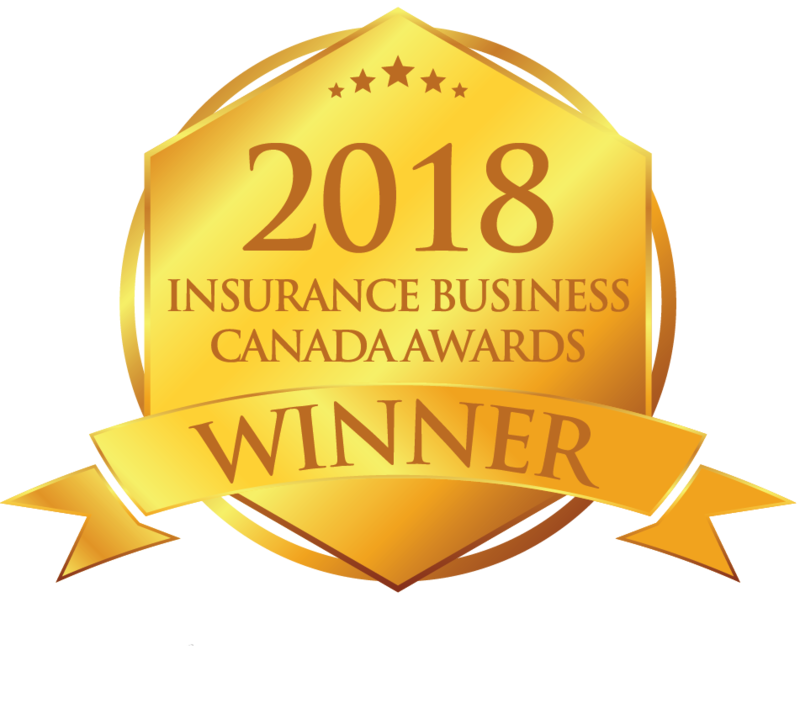 It may not contain all the information you need to make a decision about life insurance and it is not meant to provide advice about which type of insurance is right for you. The Empire Life Insurance Company assumes no responsibility if you choose to rely on the information contained on this page as it may not be sufficient for your particular circumstances. We recommend you seek professional advice before making a decision about life insurance. What’s the difference between Empire Life Simplified Issue and Empire Life Fully Underwritten Term Life Insurance? Affordable, simple 10 or 20 year term life insurance designed to meet life insurance needs for a period of time. Quick & easy online application process that you complete without an insurance advisor, and in some cases, in as little as 15 minutes. Simplified health questionnaire. No medical exam or underwriting review required. Underwriting audit possible. Qualified individuals can be covered as soon as the initial premium is paid and a properly completed application is submitted online, subject to any change in insurability, non-disclosure or misrepresentation. Automatically renews, without the need to reapply, every 10 or 20 years unless your insurance has terminated. Insurance terminates when you die or on the policy anniversary nearest your 75th birthday or if you cancel your coverage or if you don’t pay your premiums when due. Initial premium guaranteed for the first 10 or 20 years only. Non-Guaranteed Renewal premiums - Premiums will increase every time the coverage renews (every 10 or 20 years). Renewal premiums are not guaranteed until set by Empire Life, which will occur before the start of each renewal term, and are guaranteed not to change during that renewal term. Your insurance contract and application will be emailed to you once the sale is completed. Individual life insurance only. Ownership cannot be changed. No benefits or riders. Affordable, flexible 10 or 20 year term life insurance designed to meet life insurance needs for a period of time or for life. Lower cost premium option E.g. Initial monthly premium for standard male, age 35, non-smoker for $250,000 coverage as of April 16, 2015: Solution 10 = $15.75 Solution 20 = $24.30 Lower rates may be available for coverage amounts over $500,000 depending on your health and other risk factors. Full health questionnaire and underwriting review required. Medical exam, tests and other evidence of insurability required for certain ages and coverage amounts. If the application is approved by our underwriting department, coverage begins when the initial premium is paid and the policy is delivered, subject to any change of insurability, non-disclosure or misrepresentation. Earlier coverage may be available in Quebec or if our online application is used to apply for coverage of $300,000 or less. Initial Premium guaranteed for the first 10 or 20 years only. Guaranteed Renewal premiums - Premiums will increase every time the coverage renews (ever 10 or 20 years). The premiums for each renewal term are set out in your policy when it is issued, and are guaranteed not to change during each renewal term. Your insurance contract and application will be delivered to you by your insurance advisor once your application is approved. Owner can be an individual, corporation or other entity. Benefits, riders, joint life insurance and ownership changes are possible. It is important to get the information and advice you need before purchasing life insurance. An insurance advisor can provide invaluable advice and help you find the right life insurance product to meet your needs. The information in this document is for general information purposes only. It does not contain all of the terms and conditions of the Empire Life term life insurance products indicated above. For full details, please refer to the insurance policy for each product. The Empire Life Insurance Company assumes no responsibility if you choose to rely on the information contained in this document to make a decision about insurance. We recommend you seek professional advice before making a decision about life insurance. To obtain a quote for Empire Life Simplified 10 and Simplified 20 term life insurance, simply provide some details about yourself, select the product and enter the amount of coverage you want. A quote for the monthly or annual premium (price) will appear in the box below. What is the definition of a smoker? If you die while your Simplified 10 insurance coverage is in effect, a death benefit equal to the coverage amount will be paid to your beneficiary as set out in the insurance policy. This summary does not contain all of the terms and conditions for Empire Life Simplified 10 life insurance and is not a contract or an offer of insurance. To view a sample of the Empire Life Simplified 10 insurance policy, click here. This overview does not contain all of the terms and conditions for Empire Life Simplified 20 life insurance and is not a contract or an offer of insurance. To view a sample of the Empire Life Simplified 20 insurance policy, click here. † Quote is for the initial premium for Empire Life Simplified 10 or Simplified 20 term life insurance based on the gender, smoker status, age and coverage amount indicated and assumes you are in good health. Initial premiums are guaranteed for the first term only. Premiums increase at each renewal and are not guaranteed for a term until set by Empire Life, which will occur prior to each term. This quote is only for Empire Life Simplified 10 or Simplified 20 term life insurance. You may have other insurance needs and we recommend that you discuss your overall insurance needs with an advisor. This quote is based on the information provided and assumes you are in good health. It is not a guarantee or an offer of insurance. To purchase insurance, you will need to complete and submit an application for approval. If you are approved and purchase insurance, the premiums, terms, conditions and coverage amount will be as outlined in the insurance contract.